New research shows that stimulating a particular brain region makes mice feel as if time is moving faster. 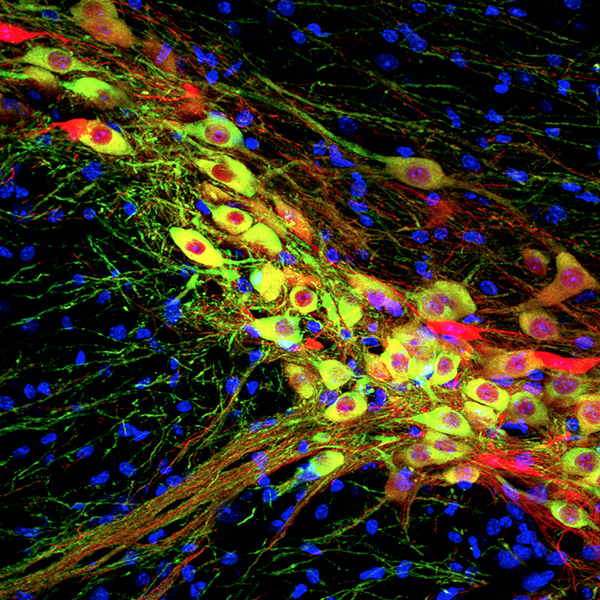 Dopamine neurons in a brain region known as the substantia nigra pars compacta can alter the perception of time, according to new research published in Science in December. Stimulating or inhibiting these cells makes mice behave as if time is moving faster or slower, the researchers found. More specifically, boosting dopamine activity slows down the animals’ internal clock, leading them to underestimate time intervals. The study — the first to look so precisely at dopamine activity during timing judgments — provides a potential molecular mechanism for the perception that ‘time flies when you’re having fun.’ “It’s an impressive study that combines optogenetics and other techniques to show that if you knock out dopamine neurons, you can change temporal perception in predictable ways,” says Howard Eichenbaum, a neuroscientist at Boston University who was not involved in the study. Dopamine is a brain chemical best known for its role in reward, motivation and movement. But scientists have long suspected that dopamine also plays a role in the perception of time. People with disorders linked to dopamine defects, such as Parkinson’s disease, have problems tracking time. And animals dosed with drugs that trigger the release of dopamine respond to tasks more quickly than usual, suggesting that the animal’s internal sense of time is sped up. But experiments on dopamine’s role in judging time have had mixed results. Moreover, the studies are confounded by the fact that the chemical also influences motivation: Rather than experiencing time differently, drugged mice might simply be more motivated to perform a task. 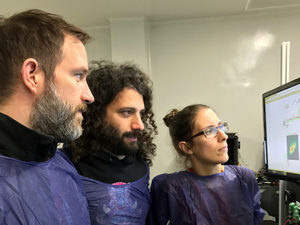 In the new study, Joseph Paton, an investigator with the Simons Collaboration on th Global Brain and a neuroscientist at the Champalimaud Neuroscience Programme in Portugal, and his collaborators, graduate student Sofia Soares and postdoctoral researcher Bassam Atallah, trained mice to perform a timing discrimination task. The animals listened to two tones and then indicated whether the delay between them was shorter or longer than 1.5 seconds. The researchers used fiber photometry to measure activity in dopamine neurons of the substantia nigra pars compacta as the animals listened and made their decision. Paton’s team found that dopamine activity varied but was correlated with the animal’s perception of time. When dopamine activity was high, the animal was more likely to judge an interval as short, and vice versa. The pattern was particularly strong for difficult trials, in which the interval between tones was close to 1.5 seconds. In a second set of experiments, the researchers used optogenetics to activate or silence the dopamine neurons. Consistent with the photometry measurements, altering neuronal activity made the animals under- or overestimate the duration of intervals. “Change something in the brain, and all of a sudden time seems to pass fast or slow,” says Rui Costa, a neuroscientist at Columbia University, who was not involved in the study. Paton says he was initially surprised by the results. “Earlier data suggested that more dopamine should speed up timing, just like it speeds movement,” he says. (Treatment with L-dopa, a dopamine precursor, restores more normal movement in individuals with Parkinson’s disease.) “But we realized that our data is consistent with the dominant theory for what dopamine neurons do — they encode reward prediction error,” Paton says. One of dopamine’s primary roles in the brain is as a reinforcement signal. According to the reward prediction error hypothesis, dopamine neurons emit a burst of the chemical when an animal gets an unexpected reward. This encourages the animal to seek out that situation again in the future. “Reward prediction error teaches you how to behave in the world,” says Mark Walton, a neuroscientist at Oxford University in the United Kingdom, who was not involved in the study. Time plays an important role in that process — a reward that comes earlier than expected triggers the dopamine signal. And time is a key component of the equations that describe reward error prediction. But previous research on dopamine’s role in reinforcement hadn’t tried to compare variability in the time component of reward signals in dopamine neurons with timing judgements. In Paton’s timing task, the animal’s expectation of the tone and upcoming reward increases with time, so the level of surprise that accompanies the tone and upcoming reward decreases with time. If scientists alter dopamine activity such that the animal feels like time is moving slowly, the animal will expect the tone to come later and will be surprised at its seemingly early arrival. Therefore, the fact that dopamine neurons are more active when animals underestimate time (which corresponds to a slower internal clock) is consistent with how reward prediction error should work. “They made a link between these neurons’ well-established role in reward prediction with a novel and interesting aspect of behavior — our ability to time,” Eichenbaum says. In Parkinson’s disease, most research has focused on the severe movement deficits that characterize the disorder. But movement also has a strong time component, which might turn out to be an important factor in the disease. “We’re always deciding when to move, not just what to move,” Walton says. That might be important in how we think about the etiology of Parkinson’s and how best to treat it. Perhaps Parkinson’s disease isn’t just an inability to make a movement, but actually an inability to think about when is the right time to make a movement, Paton hypothesizes. The researchers next plan to look at other brain regions that produce dopamine, including the ventral tegmental area, which has been implicated in reward, reinforcement and addiction. “It will be interesting to find out if this is a general property of how dopamine influences information processing in the brain or whether it’s specific to this set of neurons,” Walton says.